Former bank manager and Mother, Susan Adcock, wanted to return to education in order to pursue a career change after, but soon realised she didn’t meet the traditional entry requirements needed to do a degree at university. But after spotting a prospectus for CLL in her local supermarket, she found a route to a degree that didn’t have traditional entry requirements. She’s since graduated with a 2:1 in Social Studies through our 2+2 degree route, and just completed her Postgraduate Diploma in Education (PGDE) this year. Sue's placement was based at North Warwickshire and Hinckley College, where she has taught a variety of subjects such as Health and Social Policy and study skills. Additionally, she has taught Leadership and Management on two other programmes run at the college. She plans to continue working in the FE sector. 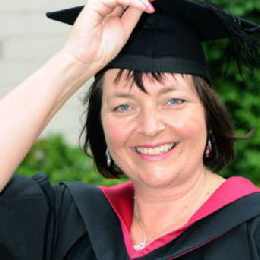 Sue studied for two years at North Warwickshire and Hinckley College (NWHC) before finishing her final two years at The University of Warwick for her undergraduate degree and spending an additional at the University to complete her undergraduate. After seeing Sue’s achievements, her daughter Sam enrolled on the course and has just completed her second year of the same degree, and Sue’s son Scotthas just finished his first year. Husband Michael, has successfully completed the Centre’s Gateway to Higher Education course, a free 18-week programme that allows adult learners to sample what it would be like to return to education without committing to a full degree. He is now starting an undergraduate degree with CLL this October 2018.